Am I overindulging my children if I give them an allowance? is a question I have been asked at each of my last three speaking engagements. In fact, one mother told me her little entrepreneur surveyed his neighborhood age-mates on how much money they were getting, then went online and googled it to see if in fact his neighborhood was above or below the national average. Next he asked for a meeting to bargain. At this meeting he no doubt shared with his mother that in a new study by the American Institute of CPAs the average American kid gets a whopping $780 per year. That averages out to $65 per month. Only 1% of parents surveyed say their child saves some of the money. 99% say they spend it all. The answer to the "allowance issue” question seems to be divided. Parents and so-called experts are all over the map. Should we give an allowance or not? If so, how much? Should it be tied to chores or not? Should parents have veto power over what the money buys? What do parent dollars buy? What do the allowance dollars buy? What are other parents doing? What type of values are we trying to instill in our children? What are our goals? After discussing this issue with parents and children, as well as from what I have learned from a quick literature search, there seems to be a variety of plans today’s parents are following. Let me describe five of them for you. Oh, by the way, I was raised with the “You’ve got to be kidding me” Plan. 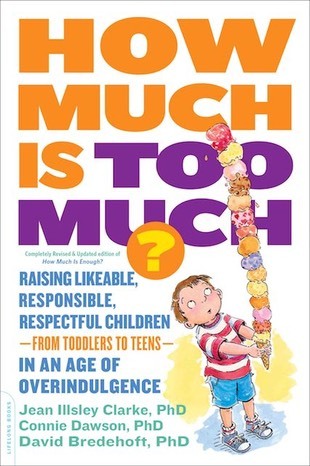 Here are my thoughts on the topic of overindulgence and giving an allowance. Your child’s weekly allowance has no strings attached. He didn’t have to do anything for it, and in some cases he can spend it on whatever he likes without your input. Your child’s weekly allowance requires no duties or chores. The money is expected to pay for her weekly expenses (school lunch, gas money, snacks etc.). With good planning, she can spend any money left over, however she wants. Under this plan your child is required to fulfill a set of specified responsibilities each week in order to receive his allowance. For example, if your room is cleaned by Saturday noon you will get your allowance, if not, no. Your child’s weekly allowance has no strings attached. However, you make it clear that if she wants more money, here’s the chore list she has to do to earn it. No allowance. This is on the other side of the continuum from the Free Ride Plan. Everyone in the family (parents and children alike) has chores, jobs, and duties that they do, and they are not paid. They do them because they are a member of the family and they are expected to contribute to the family. Plan 1 definitely is overindulgence; the others could be depending on the specifics. Think about Goals and Values when Giving an Allowance? I believe that it is important for parents to consider what their goals are in giving an allowance, as well as what values they hope to teach. Once they decide this they need to create a plan that achieves them. 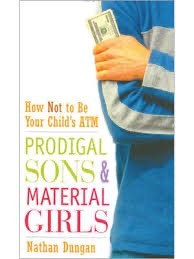 For instance, if you want your child to become a saver and at the same time learn to be generous and give to others, consider using the Share, Save, Spend formula developed by Nathan Dungan author of Prodigal Sons and Material Girls: How Not to Be Your Child’s ATM. 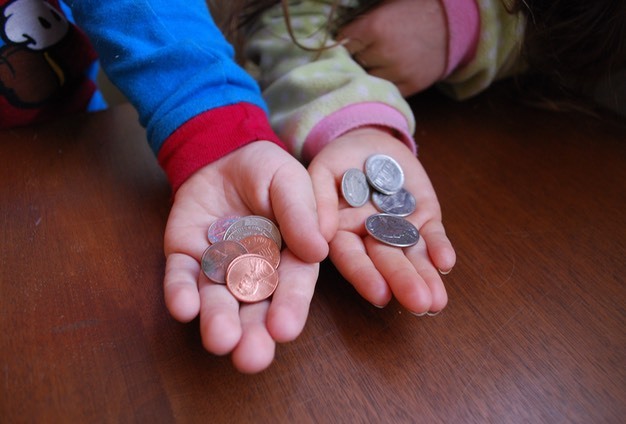 He suggests parents decide a set percentage of every dollar a child earns, receives in gifts, or is given in allowance to be given to charity, saved, and spent. Are you trying to teach your child how to manage money? If so, make a list of what you expect the allowance is for. Attach estimated prices and then discuss it with your child. Monitor the process and readjust, discussing money management lessons as they are learned. Recent research suggests that fewer than 25 percent of parents think their children manage money well, while at the same time only half of the teens 14 to 16 surveyed said their parents haven’t talked to them about money or how to manage it. Companies spend about 17 billion annually marketing to your children coming after their dollars whether you have prepared them or not! Children under the age of 18 wield combined spending power of about $199 billion in the U.S. alone (all disposable income). With all of these allowance dollars on the line for the taking, it’s no wonder they are bombarded with 40,000 commercials each year. The latest method of marketing to your children is the “YouTube Kids App”. Parents allow children as young as 2-years-old to spend hours watching videos on their phone. Marketers are taking notice not only with product placement in the videos, but also advertisements to build brand loyalty beginning as early as 2—years-old. Select an allowance plan that best fits you and your family’s values. If you choose to tie chores to an allowance, tell your children why. If you choose not to tie chores to allowance, tell your children why. Be explicit about the goals and values you hope to teach with an allowance and revisit them often. Talk about money management with your children. Educate your children about the manipulative effects of advertisements. Model good money management techniques.